If you missed out on the $80 off deal that Google hosted for the Nexus 5X over Cyber Weekend, try not to be too disappointed in yourself, as you still have a chance this week to grab this year’s smaller Nexus for a solid $50 off. Both the 16GB and 32GB models have been slashed by $50 in all colors, white, black, and ice. For the 16GB version, you are looking at $329. The 32GB version will drop in at $379, which is the normal retail price of the 16GB model. 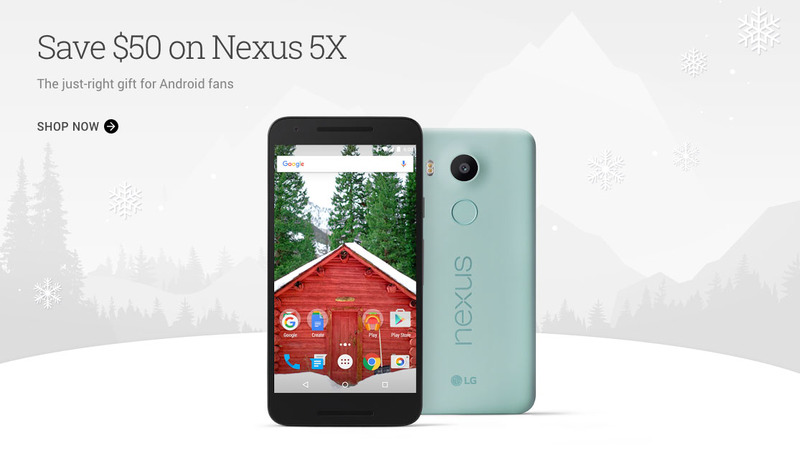 You can find the Nexus 5X with discounting pricing a variety of retailers, including the ones we linked below.